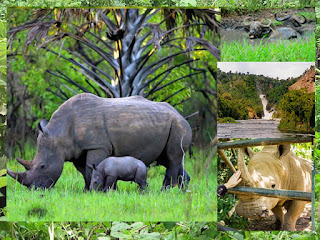 On our way we visit and track White Rhinos at Ziwa Rhino Sanctuary. 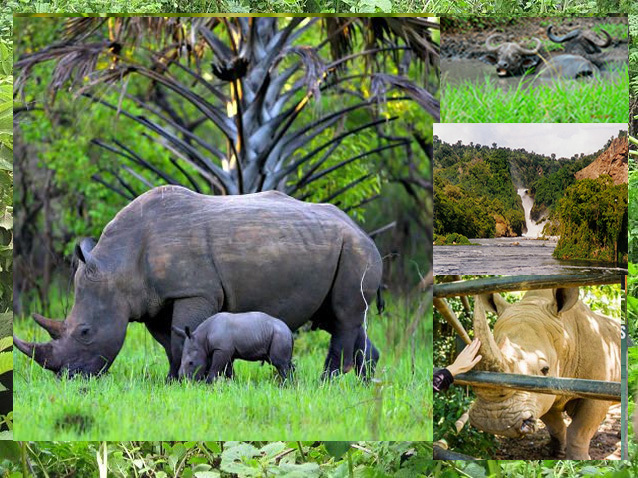 This sanctuary has now been established to breed black and white rhino, and restore Rhino populations in Uganda’s protected areas in a later stage. We will continue through the park stopping at the top of the falls which is a fantastic sight. Here the Nile, the longest river in the world, is forced through a narrow gap in the rock (only 7 meters wide), before ferociously plunging down 43 meters. From here we will continue onto our accommodation place along the Nile River. After breakfast head to the Delta in search for bird life and enjoy the game drive to look for lions, giraffes, herds of elephants, buffaloes and many more. We will drive back to the lodge for lunch before taking an afternoon boat cruise to the foot of Murchison Falls. This boat trip along the Nile is often cited as being the highlight of a trip to Murchison since it allows you to get up-close and personal with the animals. Along this stretch of the river, there are reported to be around 4,000 hippos in addition to some enormous Nile crocodiles. The bird life is stunning with brightly colored kingfishers and bee-eaters darting along the riverbanks. If lucky, you may see the rare and prehistoric looking shoebill, which is a cross between the dodo and a dinosaur. The boat takes you to the base of the falls which only adds to their impressiveness. Afterwards, you will be transferred back to Kampala.